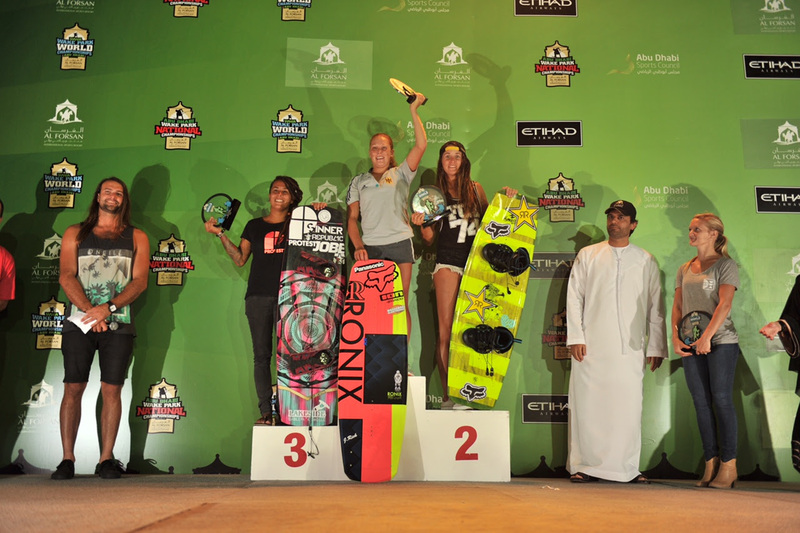 Twenty new champions crowned today at the 2015 WWA Wake Park World Championships. 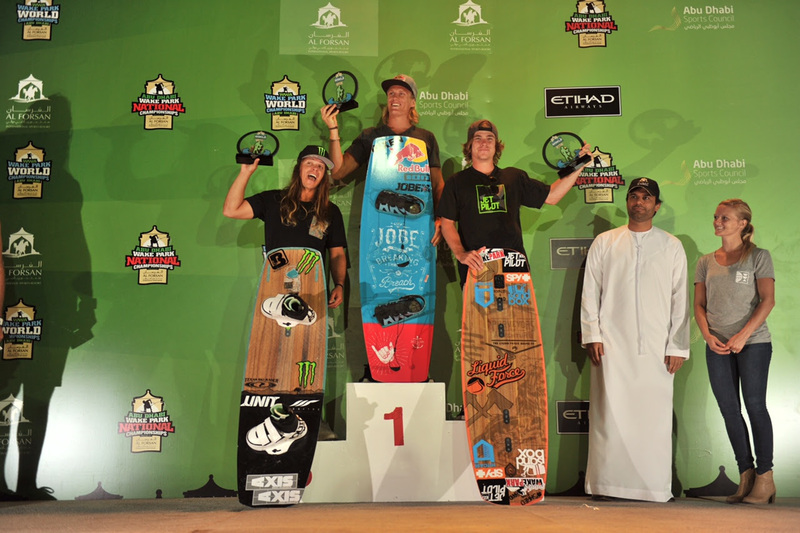 Abu Dhabi, UAE (November 6th, 2015) – The world’s most diverse park riders were named new World Champions at the most progressive wake park event in the world. Al Forsan International Sports Resort played host to a park event that is certainly one for the books. The riding stepped up more at this year’s World championships than any other year in the history of the sport. Riders from across the globe rode through the toughest and most competitive heats put together to become Wake Park World Champions. The Professional Men’s Features Only division had every single person on the property at the edge of their seat with the excitement taking place on the water. Aaron Gunn (AUS) proved himself to be the world best as he earned himself yet another World Championship title by landing a massive truck driver heelside 720. Closely behind him was Tom Fooshee (USA), who was very balanced on all the features. Rounding out the podium was John Dreiling (USA) in third. Professional Women’s features was every bit as exciting as the Men’s, as Julia Rick (GER) made it impeccably clear that she deserved to be World Champion yet again. She made sure to include her textbook heelside backside 720 off the kicker, as well as a heelside backside 270 transfer. Courtney Angus (AUS) was right behind her- she put the heat on Julia, but fell slightly short behind her in the scores. Maxine Sapulette (NLD) finished in 3rd place to complete the Professional Women’s Features Only podium. 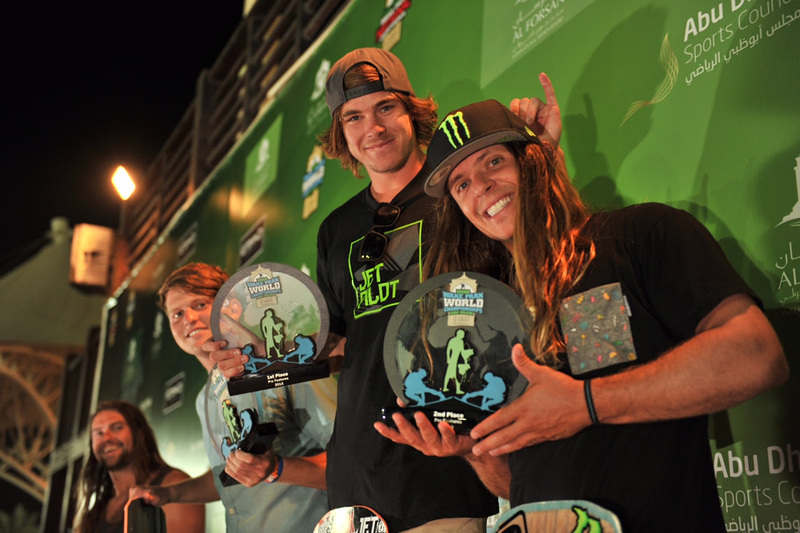 Traditional cable put all the attention on one rider at a time as they showed the world who should earn the prestigious title. Pro Men’s rider Dominik Guehrs (GER) was a step above everyone else as the crowd went mad each time he landed a trick. “It was so tough riding against all these guys. They all threw it down every round right before me, and I was so lucky to prevail and do what I needed to do for the victory. I am on cloud 9 right now with becoming a world champion”, says Dominik. However, earning the title didn’t come easily- Aaron Gunn gave him a true run for his money. The super final scores were so tight that they were separated by just a decimal point. Tom Fooshee performed so well throughout the weekend that he was able to land the 3rd place spot in this heavy division of Pro Men Traditional. The fun didn’t stop there as the ladies hit the water yet again in their Traditional cable final. The flats tricks that Julia Rick threw down were clearly what helped play a huge role in her becoming the 2015 World Champion. But what makes it even crazier is that her kicker and rail hits were just as impressive. She landed a tail grabbed front-to-blind- a trick commonly seen in the Pro Men division. To accompany an already impressive run, she tacked on several aggressive rail hits that sealed the deal for her. Maxine Sapulette put the pressure on Julia, as she rode so well that it forced Julia to give it her all. Sapulette landed herself a second place with an incredible competition run, of course Courtney Angus made sure to make it more than a two-girl show as she cranked it up on the water, placing in the third podium spot. 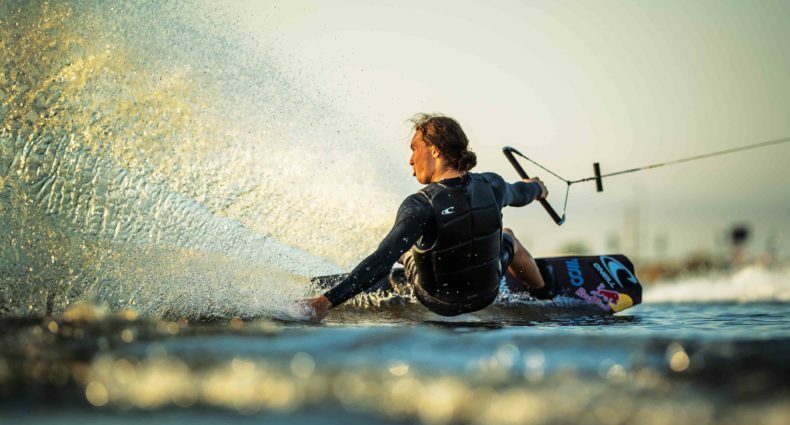 The best Wake Park World Championships of all time can be described only as absolutely epic! We would love to once again thank Al Forsan International Sports Resort, all of the Event Sponsors, and of course the riders for making this event such a success. 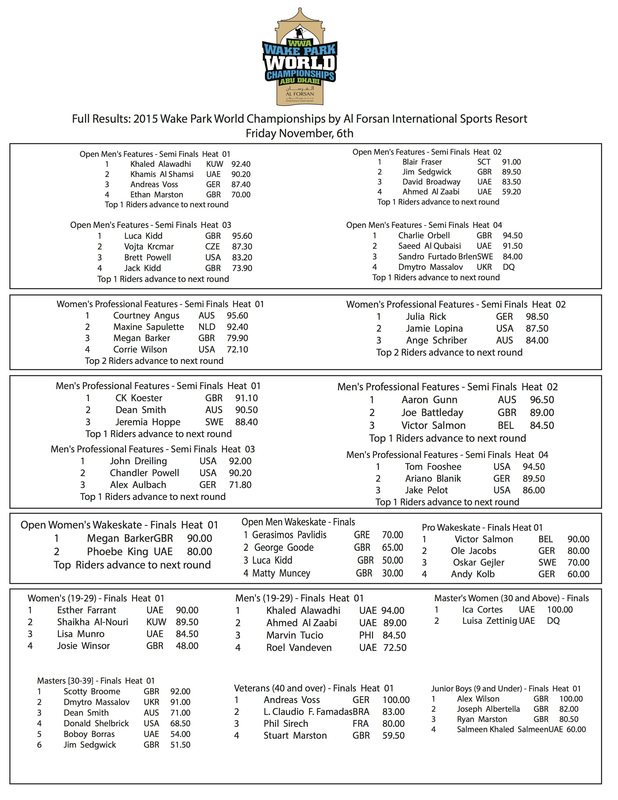 Congratulations to all the fresh new 2015 World Champions. 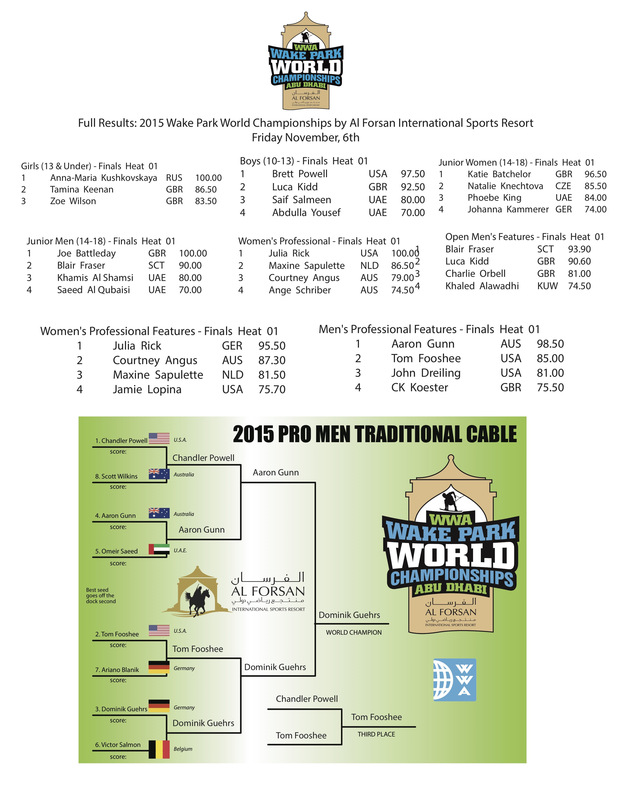 See you all again at the WWA Wake Park World Championships in 2016!